This won’t be your typical renovation project. It’s not often that the reconstruction of a building whose origin dates back centuries has to be contemplated. But while officials at the site of Paris’s historic Notre-Dame Cathedral still are assessing the damage caused by Monday’s devastating fire, French President Emmanuel Macron is already touting a quick rebirth. International expertise and money is already pouring in. And within France, some of the country’s richest citizens and companies have pledged close to 500 million euros ($ 753 million Cdn) toward the cathedral’s restoration. Before doing any work, experts say the true extent of the damage must still be fully evaluated. The next 24 hours will be key. 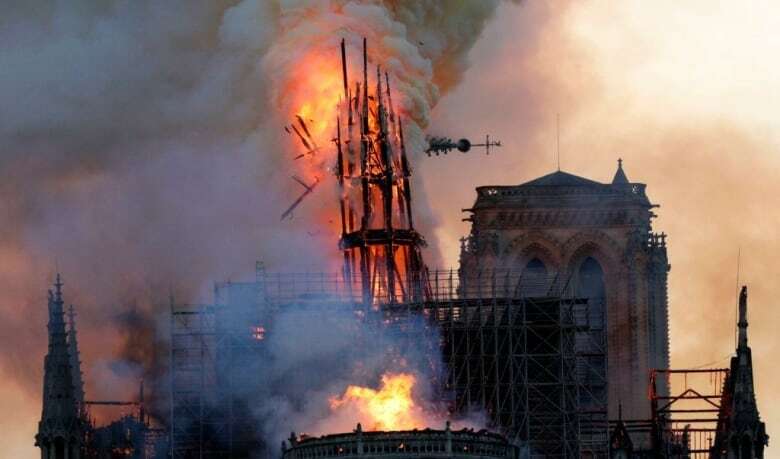 UNESCO director-general Audrey Azoulay said work must begin immediately to protect the remaining structure, warning that parts of the cathedral remain “extremely fragile.” Notre-Dame is part of a UNESCO heritage site and the agency has offered its expertise. Annabelle Radcliffe-Trenner, a preservation architect at Historic Building Architects in Trenton, N.J., who specializes in religious buildings, says there will be an initial stage of “peeling back” the fire damage to figure out what remains. “The next step is really to diagnose the condition of everything and shore and brace everything that needs to be stabilized and protect it from weather,” she said. It will all start with the church’s sprawling ceiling structure, where architects have identified three main holes. Officials say most of the wooden roof beams have been burned, and parts of the concrete vaulting that hold up the roof have collapsed. The damage from the extensive amount of water used to extinguish the fire is also being assessed. “We would have to assess the condition of what is remaining there, especially of the vaulted ceilings,” said master stonemason Frank Helmholz, who is currently working on a pyramid restoration project in Egypt. He has worked on numerous projects across Europe, including the restoration of the Basilica of Saint-Denis in northern Paris. “There are parts of the roof that have a hole in them, which, of course, destabilizes the surrounding parts. And so we would have to assess how fragile and how vulnerable this may be,” he said. Re-rafting and rebuilding parts of the ancient roof will be a meticulous and lengthy process, Helmholz said. All damaged and loose pieces must initially be removed and then shoring put in place to ensure no additional pieces fall. Then, he said, a temporary roof will likely be put in place, before each individual arch is rebuilt. It’s time-consuming work: But only after the stone arches are repaired can a new wood roof be laid on top, he said. What materials officials will actually have available to restore the cathedral is another story. Some of the damaged original wood and stone could be salvageable — but much of it likely won’t be. And according to Helmholz, there are a number of issues to consider with ancient stone. Helmholz also said that some of the structure’s wood, swollen by water, is likely pushing against stones in the roof. 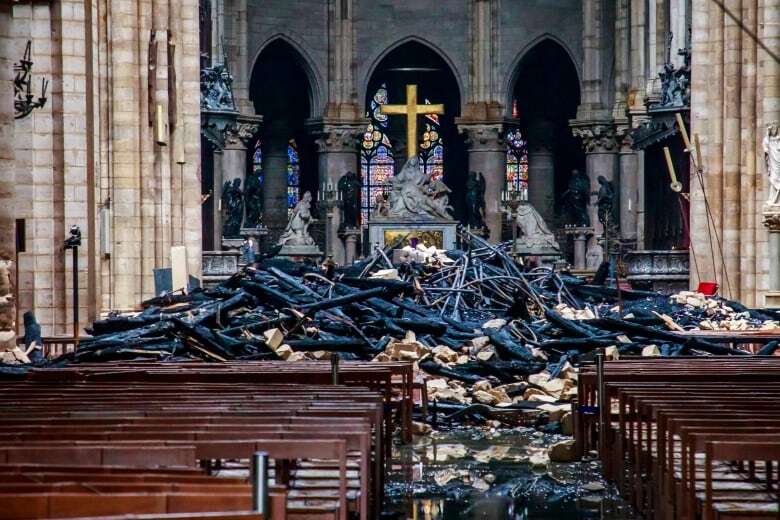 Officials have acknowledged that much of the wood that formed Notre-Dame’s roof was destroyed and that replacing its 800 wooden beams will be next to impossible. “We don’t, at the moment, have trees on our territory of the size that were cut in the 13th century,” said Bertrand de Feydeau, vice-president of preservation group Fondation du Patrimoine. Salvaged wood from older structures is often used in such projects, said Radcliffe-Trenner. But this ambitious project will require a mix of old and new technology, she said. “There’s a multitude of ethical conservation preservation questions to be asked and to be thought through very carefully,” she said. It’s likely a combination of building materials will be used — with an emphasis on fire safety. Helmholz said people often think using different or more modern materials, in conjunction with what exists, undermines a restoration. But in the case of Notre-Dame, it may not be possible to get the same stones from the same source. “Initially you would see the difference, but these things blend together pretty quickly, especially given the pollution and the exposure to the weather on the stones,” he said. Both Helmholz and Radcliffe-Trenner acknowledge the challenges of restoring Notre-Dame to its former glory, but insist it will happen. Although, they say, Macron’s five-year timeline may be a little ambitious. Europe has a long history of restoring or rebuilding churches that were damaged during the First and Second World Wars, Helmholz noted. That work has provided key insights into how ancient architecture was conceived and how it can be most effectively restored. And if asked, Helmholz says it would a “great privilege” to lend his expertise.